ABC7's Judy Hsu emceeing an event kicking off the American Cancer Society's 'Making Strides Against Breast Cancer' walk. 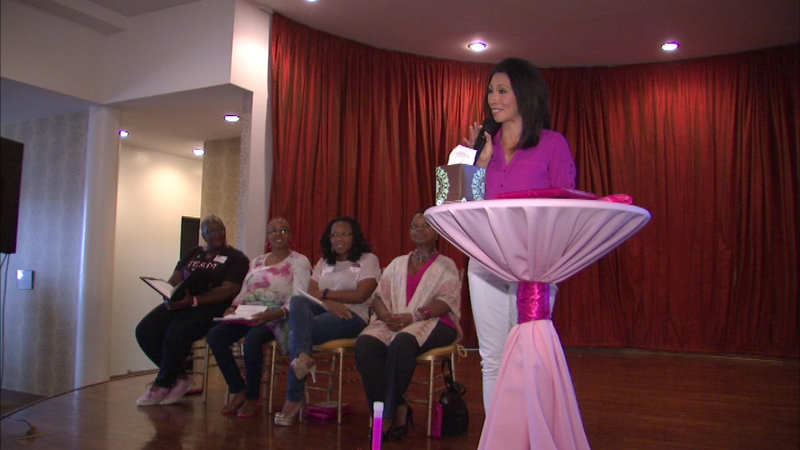 CHICAGO (WLS) -- Women across Chicago gathered to fight against breast cancer, as the American Cancer Society held a kickoff event for their "Making Strides Against Breast Cancer" walk to be held in October. The fundraising campaign kicked off Saturday at the Parkway Ballroom with ABC7's Judy Hsu emceeing the event. ABC7 Chicago is a media sponsor for the walk.